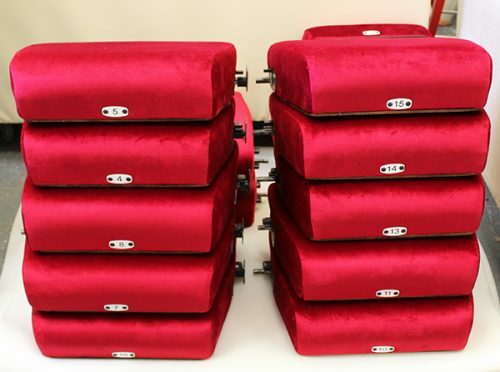 Our skilled upholsterers provide a quick and convenient reupholstery and renovation service for all your theatre, auditorium and arena seating across London & the South East. First we conduct a site survey and inspection to advise on reupholstery options and reccomended fabrics. Reupholstery enables seating to be upgraded to High Density Combustion Modified High Resilience Foams and high specification fabrics such as the Camira 24/7 range which is designed and coloured to withstand the rigours of heavy usage but offers a clean, sharp finish. We can complete the work in rows or complete projects to suit your venue bookings and budget. 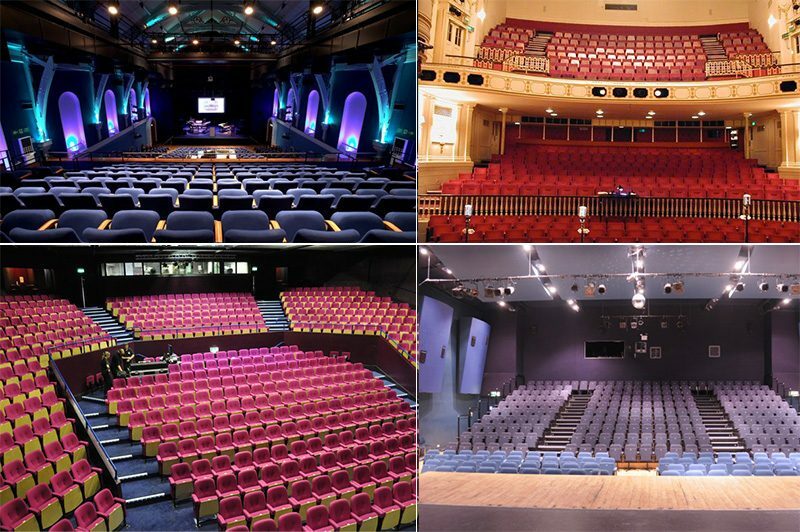 Our customers include The Royal Albert Hall, The Theatre Royal Windsor, The Royal Opera House, Wyvern Theatre, Watford Colloseum, The Elgiva, St Albans School – lecture theatre, St Bernards Catholic School – Auditorium, The Corn Exchange Newbury and St Albans – arena. We provide fabric samples and can produce a sample of finished upholstery for your approval. Request a no obligation site survey today. We stock mechanical parts from all leading manufacturers and in many cases, we can make economical repairs to chairs which may have been considered a write off. We can replace castors, chair bases, arm pads and much more. Our skilled French Polishers can bring your bar area, chair legs, wood panelling and tables back to their former glory. Get in touch to discuss any requirement or to request a free site survey.